What a wonderful ABC book! 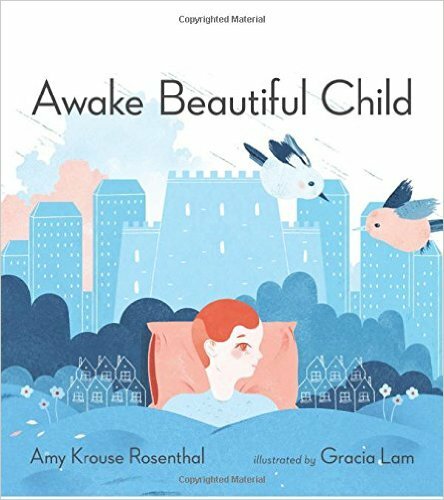 Awake Beautiful Child, written by Amy Krouse Rosenthal, is a mesmerizing walk through a child’s day. On each page, a three-word “ABC” description tells the reader about what’s pictured. It’s the illustrations that captivated me. There’s a crisp, innocent, 50s Americana feel to them. And, in addition to perfect words and illustrations, there are hidden ABC treasures to find on every page. This is a charming book that will be looked at and read over and over again. Nothing captivates toddlers like baby animals. I think human babies really see themselves in the awkward innocence of chicks or foals. 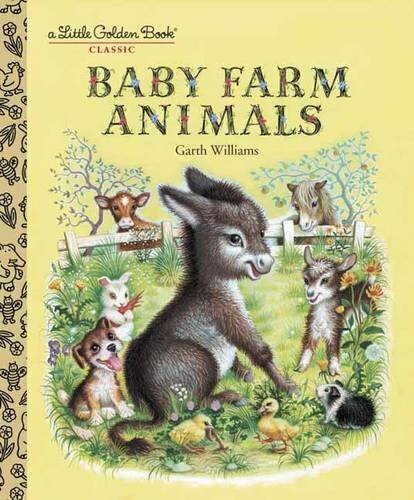 That’s why I recommend spending some time with Baby Farm Animals, a Golden Baby Book. The sweet vintage illustrations – just like the Golden Books you remember – make these board books the true treasures they are. They’re the perfect prep for a springtime trip to the farm! Finding Winnie is the true story of a bear cub rescued by Harry Colebourn, a veterinarian during WWI who served with the 2nd Canadian Infantry Brigade. Colebourn named the bear Winnipeg, so the young infantrymen would have a piece of home with them while serving in England. The beloved mascot was nicknamed “Winnie”, and Colebourn gifted her to the London Zoo after the war. Shortly thereafter, a young boy named Christopher Robin Milne was taken to the London Zoo to see a live version of his stuffed bear. Though Christopher Robin had loved his bear since he was a baby, he had never named it – until he saw Winnie. From then on, the stuffed bear became Winnie-the-Pooh, and Christopher Robin had a lifetime of adventures with Winnie and Winnie-the-Pooh. These adventures were the foundation of the Winnie-the-Pooh books by his father, Alan Alexander Milne. 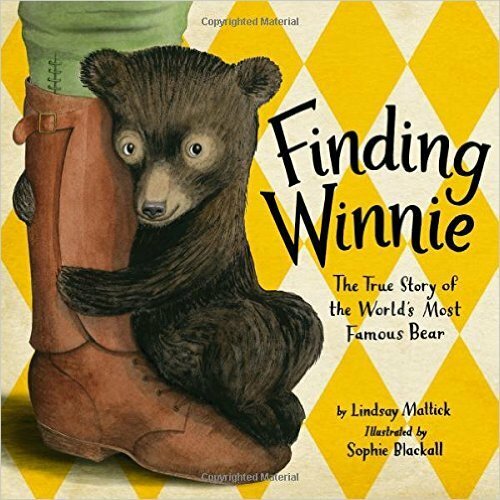 The illustrations of award winning artist Sophie Blackall and the words of Lindsay Mattick (Harry Colebourn’s great-granddaughter), combine to make the remarkable true story of Finding Winnie a delight.